I hope you're all enjoying the weekend. I'm now back off my holidays, boo! The week went super quickly but we were fortunate to have nice and sunny weather despite it being rather windy and chilly. Before I went away, I thought I'd treat myself to a few new beauty products for the holiday and the upcoming Spring (when it arrives, it's close, I can tell...) Any excuse, eh? The first of those products that I've got to review for you is Soap & Glory's Pulp Friction Body Scrub. 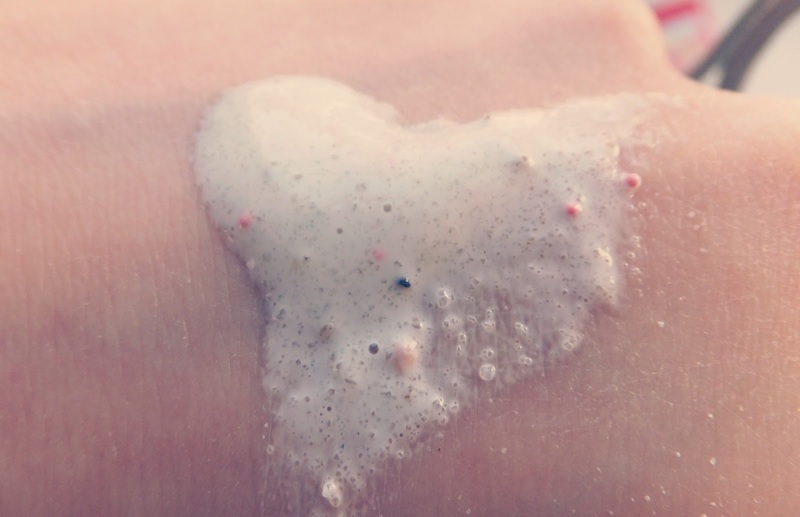 I spent quite a lot of time trying to decide which of the many scrubs by S&G to pick up as they all have great recommendations but I wanted one that was 'scrubby' but didn't leave a residue on the skin afterwards. I've tried a few scrubs and either found them to not exfoliate my skin at all or just leave it with an oily residue that lurks on your skin for ages. First off, I absolutely love the packaging, pink, girly and a little retro, what's not to like? Another bonus for me (especially as I was popping it in my suitcase) is that it comes in a tube rather than a tub, meaning it's less likely to leak and also it's easier to keep it neat and quick whilst showering. I've had a couple of tubs of Flake Away by S&G and although it feels lovely, it gets EVERYWHERE in the shower and leaves little grains all over the floor afterwards. The scrub is scented with Soap and Glory's famous Fruitigo fragrance and it smells divine. I left it lying around and my mum got her hands on it and couldn't believe how nice it smelt - really fresh and fruity. I found if I squeezed a small dollop into the centre of my palm, this was enough to exfoliate one leg and cover it fully in the scrub. I halved this amount for my arms and the rest of my body, so it's pretty economical as it foams up and this helps a little product go a long way. The scrub itself is thick in consistency and contains lots of little exfoliating balls (I'm guessing those are the vitaminballs and pumice) which work a treat. It's the exact amount of 'scrubbiness' that I was looking for, harsh enough to give your body a good exfoliating without leaving you feeling raw and over scrubbed. 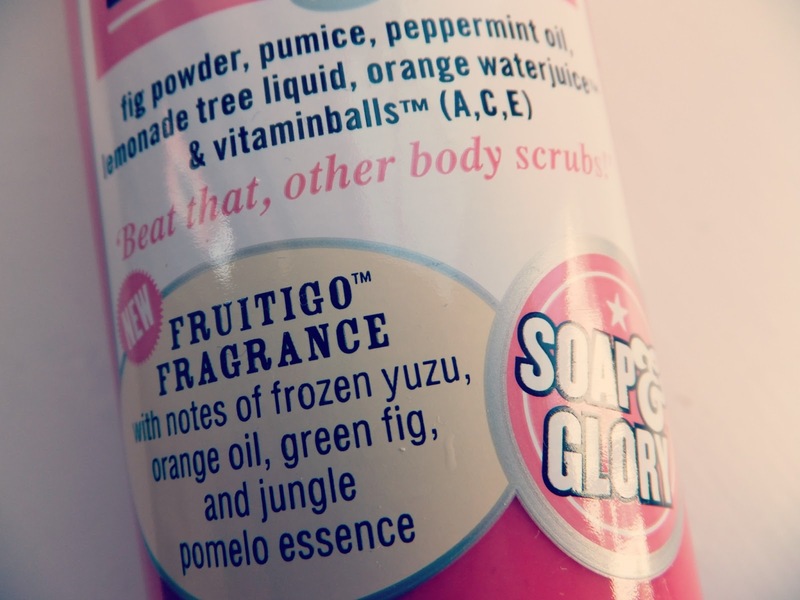 Overall, I absolutely love this scrub and it's exactly what I was looking for; it does a good job of exfoliating your skin thoroughly without leaving any residue plus it smells amazing and you only need a little amount to go a long way. 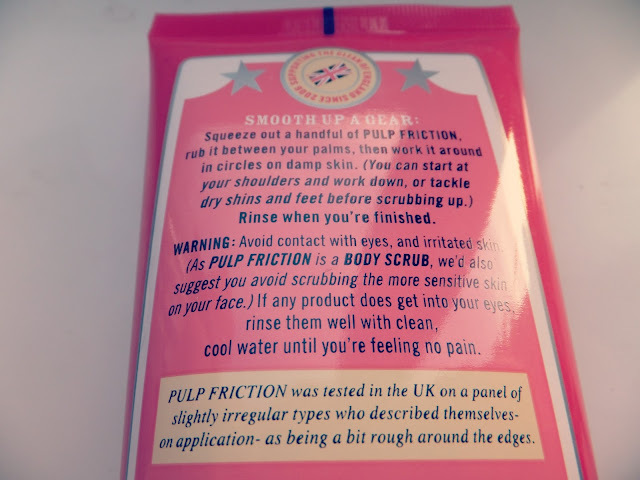 If you're looking for a good scrub that you can use before you tan (which is one of the reasons I picked it up) or just one that does a good job, I highly recommend Pulp Friction. I picked mine up in Boots for £8. What's your favourite scrub? Are you thinking of trying this one out? 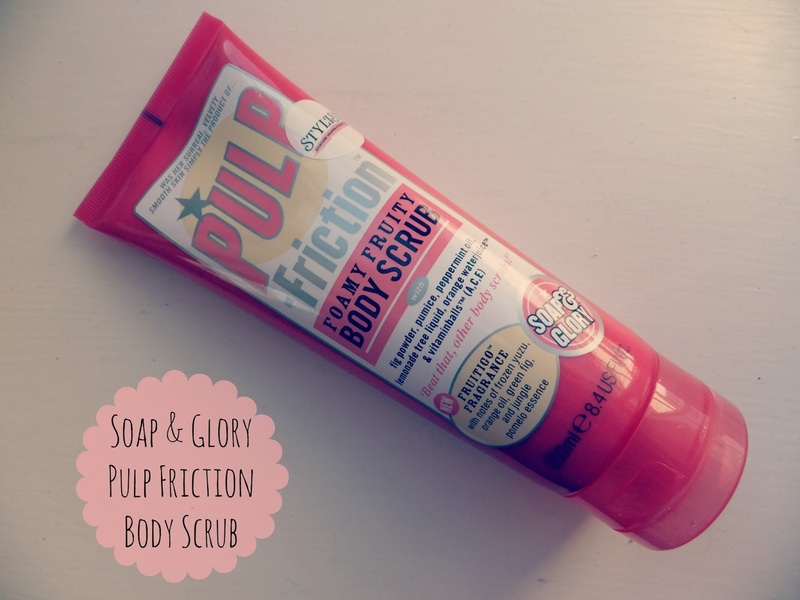 I love the soap&glory body products! they all smell amazing!